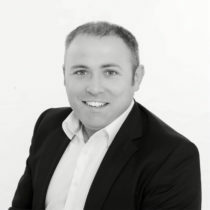 A graduate of the Dublin Institute of Technology, Declan followed his father into the property industry in 1998 following an initial spell in construction studies. He has a BSc honours degree (level 8) in Property Studies combined with almost 20 years of experience in the property market. Also a member of the SCSI and an associate member of the RICS (Royal Institution of Chartered Surveyors). Specialising mainly in the field of Valuations for both residential & commercial properties in the North East, along with rent reviews, lease renewals, CPO’s, rating appeals and general property consultancy. Declan is a fully qualified BER (Building Energy Rating) assessor for both residential and commercial properties.